Ryan Dahle is a huge enthusiast of the Boss DS-1 distortion pedal. He’s been using them ever since he can remember picking up his first guitar. 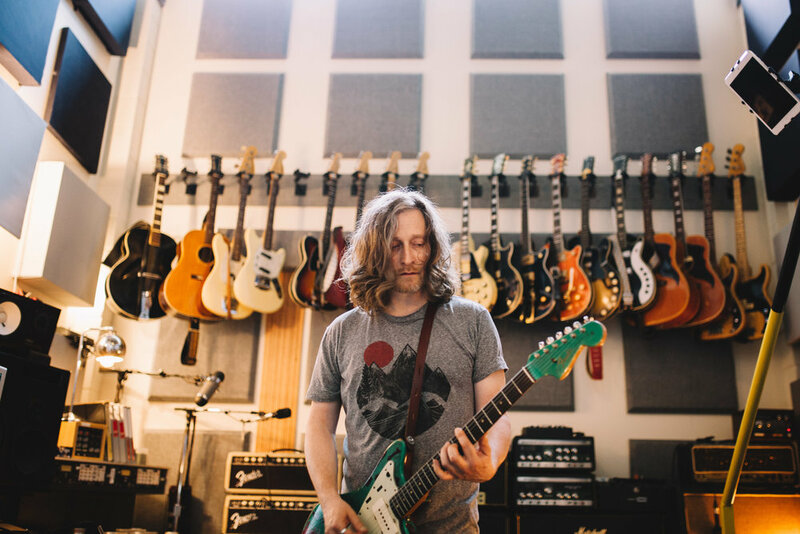 Musical instrument experts BOSS, are long time admirers of the Canadian guitar icon and wanted to sit down to chat about his music career and love of his much used DS-1 collection. Our video production team was thrilled to jump at the chance to film this video in Ryan’s Vancouver studio, RecRoom Studios, alongside BOSS. Enjoy our behind the scenes photography and video featuring the Mounties one and only Ryan Dahle. Mission Possible (MP) is a community economic development agency in Vancouver's Downtown Eastside (DTES). Through their employment readiness programs, MP works with people who have barriers to employment to help bring them back into the workforce. MP is transforming lives by renewing people's sense of dignity and purpose through meaningful work. 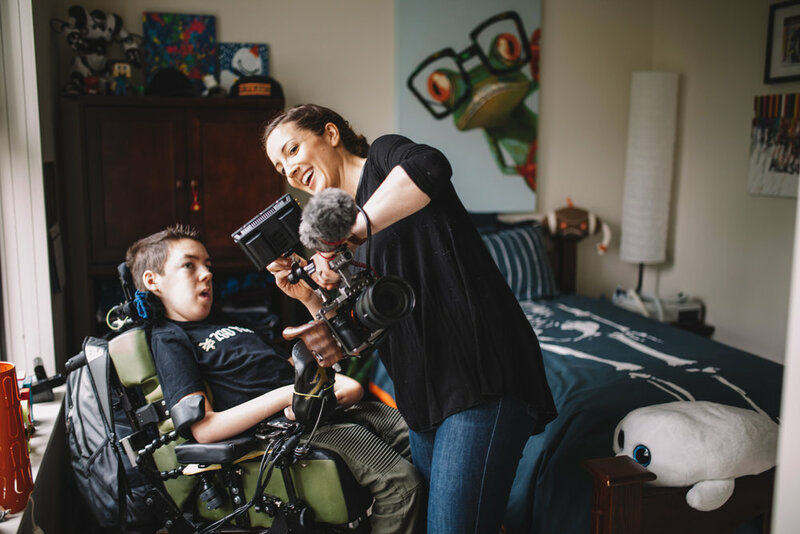 We were able to come alongside MP in the fall of 2017 to create a video showcasing one of this year's Come Back Award winners, Chris Reed. We first met Chris at a local coffee shop in the DTES to discuss his story about MP. It has been a powerful journey for Chris filled with despairing revelations, new found hope and, of course, a touch of Chris' dry humour. We were honoured to listen, film and now share his story of transformation with you. Below you'll find our behind the scenes photos of our time filming along with the final video production. Do you ever wish you could have the best school year ever? That wish is about to come true for some amazing students who enter the The Best School Year Ever® competition to win a once-in-a-lifetime high school experience. We couldn’t be more excited to share our experience with you as we had the unique opportunity to create the video for this year’s competition. 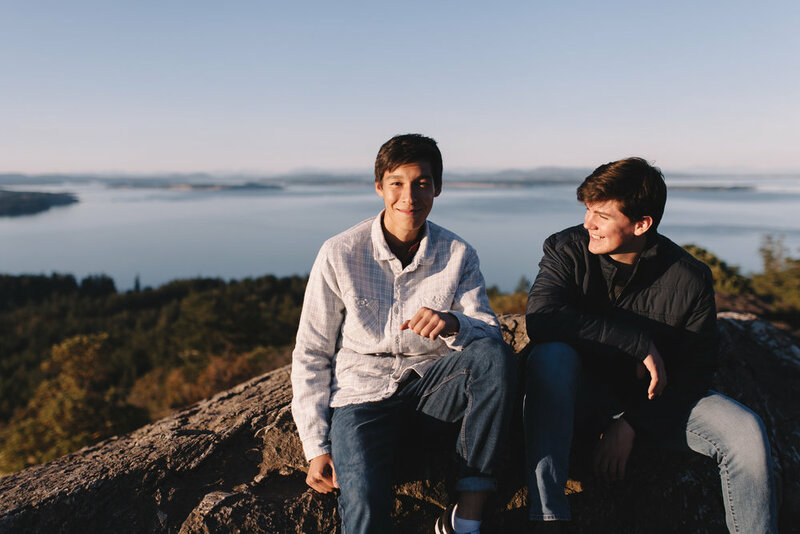 St. Michaels University School (SMUS), one of Canada’s top-ranked boarding schools, offers students the ability to reach their true academic potential, discover new passions and enjoy adventurous west coast living. Each year they call on amazing high school students to enter a video competition to win 1 in 20 scholarship prizes. Our videography team traveled to Victoria, BC to experience SMUS for ourselves and loved every second at this remarkable school. SMUS’s wonderful marketing team worked with us to brainstorm video concepts and allowed our creativity to guide the storytelling experience. Their faith in the outstanding students that attend this school was a testament to the quality education that is provided at SMUS. 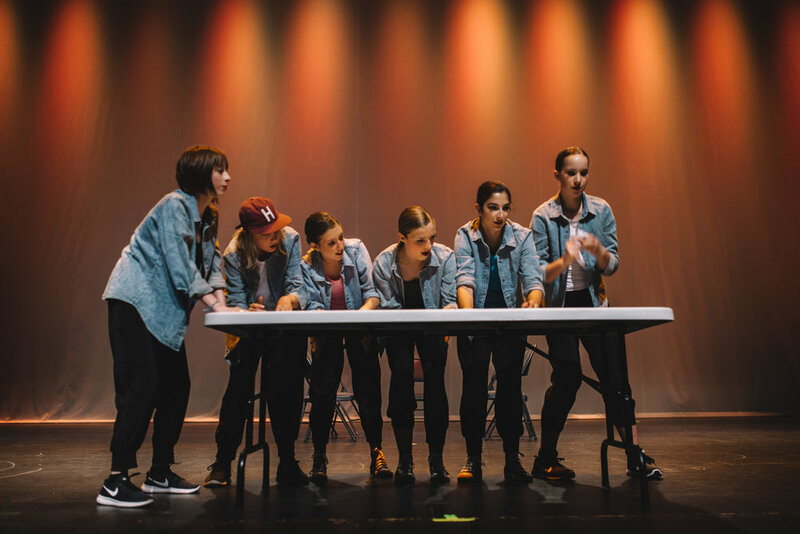 While scripting a video isn’t usually our style, we worked alongside three students to create a script that spoke to their own experiences as well as many other teenagers looking to broaden their horizons. The end result is a video that will excite high schoolers and elicit them to take their dreams and education into their own hands by joining this rare competition. Our summer came to a close with an unforgettable adventure with Nettle’s Tale Swimwear. After last years getaway, we had no doubt this needed to be an annual trip. We wanted to capture the whole experience but not be tied down to our cameras, so we made a rule that you were only allowed to shoot when you were having fun. If it started to feel like just a job, then you had to put the camera down. Let's just say it was hard to put the camera's down. As we sailed along British Columbia's coastline, we couldn't help but capture the beauty! 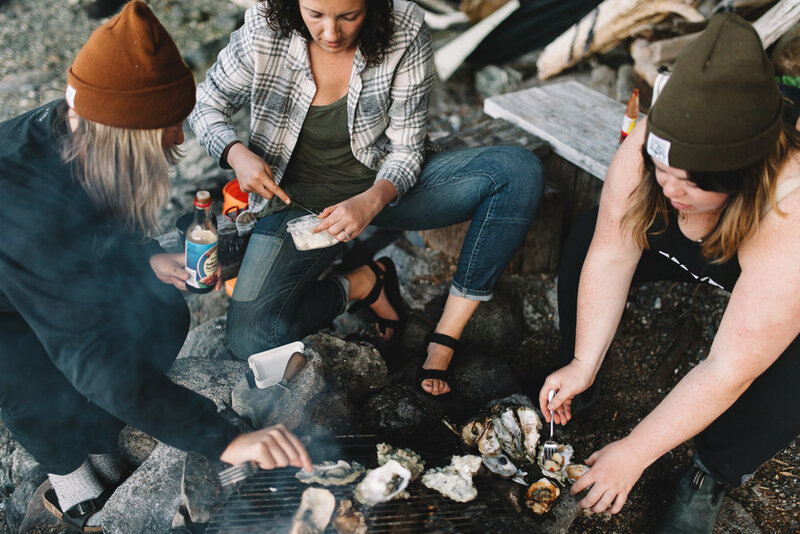 Our spirits were refreshed, friendships deepened and our adventure cravings were quenched. A trip for the books! Enjoy our photography from on board The Porpoise and one of the lifestyle video ads that came out of the trip. 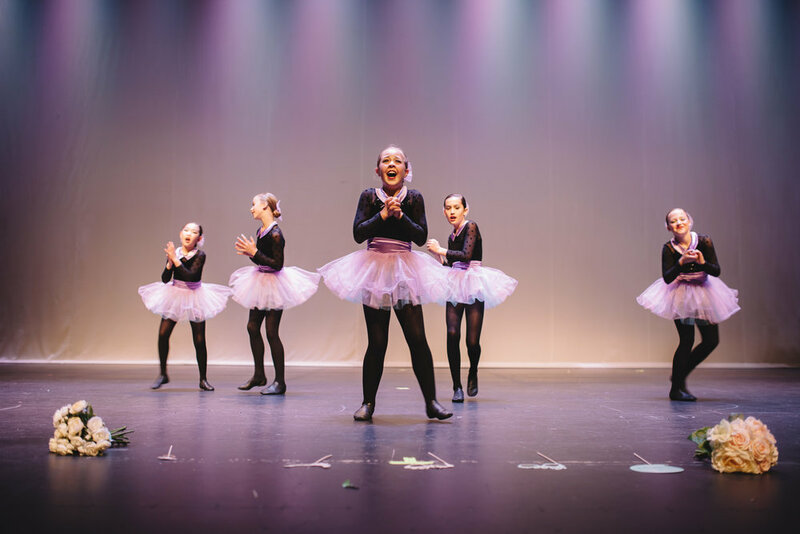 The Happening Dance Studio is an innovative dance studio run by Kim Stevenson in Vancouver, BC. We’ve known Kim for a while and we are always inspired by her love of dance education. We were more than excited when Kim approached us to make a video that would not only reflect the spirit of her studio but powerfully influence young dancers to join her new classes. After brainstorming video ideas, we fell in love with the Happening’s recital and one particular dancer, Lily, who would be performing in it. Here are some behind the scenes photos of our time filming and the final video production. Listening to the stories of parents who have lost their children is a hard thing to do, especially when you’re emotionally invested. Not every video is easy to produce and this project falls heavily into that category. Canuck Place Children’s Hospice, a hospice for children needing paediatric palliative care, was looking for a way to connect with families who have just heard terrible news about their child. Thanks to a grant they had received, we came alongside them to make a video for those parents in need of a safe space and people to rely on. Parents who have lost a child spoke directly to camera in hopes that parents who have just heard their own unfortunate news could hear from someone who deeply understands. Throughout this project we were heartbroken by the stories we heard from parents who have gone through such tragedy. One of the first couples we met said it best, “By the time you hear the words ‘Canuck Place’ you’ve already got the worse news you could ever get.” Yet in the midst of all the pain and unknowns Canuck Place shone through as a saving grace in their darkest times of need. It was a beautiful glimpse into the all encompassing community that Canuck Place has to offer.